A UK science and technology committee recently advised Parliament to lessen vaping restrictions, The Times first reported today. Currently, The UK restricts vaping in various public or common spaces. Like smoking, vaping is off limits in places like buses, trains, and mental health facilities. The committee warns that legislating vapes (and heat-not-burn products, they also mention) the same as combustible cigarettes undermines the value of these products as stop smoking tools. They also criticize the lack of evidence to support tank size limits and other “aspects of the [vape] regulatory system.” Refill strengths are limited, too, forcing users to take more or harder pulls on vapes – which puts off some users. Advertising bans affect manufacturers’ ability to include vital info sheets in vape packaging. “The Government should review these regulatory barriers to identify scope for change,” they write. Forcing the “estimated 2.9 million” e-cigarette users to share spaces with smokers compromises their quitting efforts. Sharing a quarantined space could influence vapers to reconsider and resume smoking tobacco cigarettes. “Any judgement of risks has to take account of the risk of not adopting e-cigarettes—that is, continuing to smoke conventional cigarettes, which are substantially more harmful,” the committee argues. 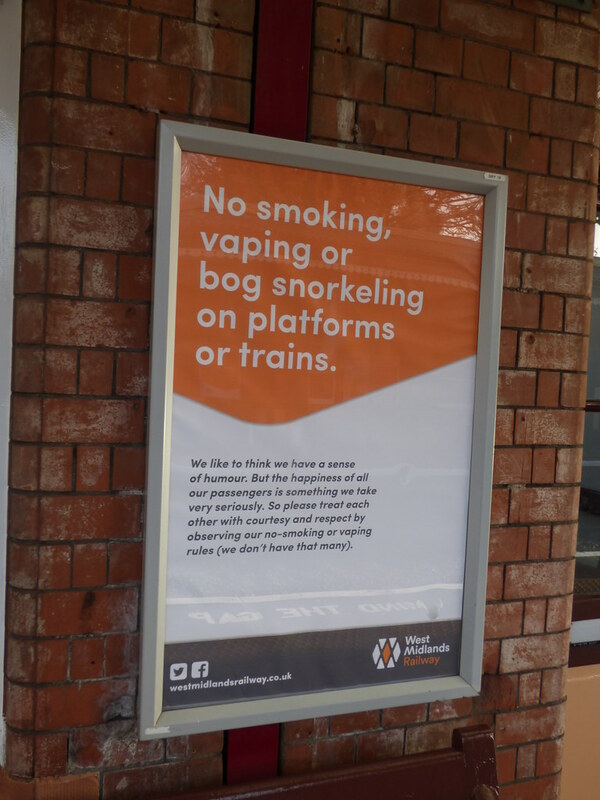 Train and bus platforms across the UK restrict vaping. Disallowing former smokers to vape during mental health treatment and requiring they go outside with active smokers during compulsory ‘breaks,’ is one problematic example the committee proffers. “People with mental health issues smoke significantly more than the rest of the population, and could therefore benefit significantly by using e-cigarettes to stop smoking,” the committee writes. Loosening vape restrictions in mental health facilities allows patients “to engage in treatment sessions within the facilities, without the interruption of smoking breaks.” Initial bans are precautionary, concerned with ‘second-hand’ vapor, despite what the committee calls “negligible health risks.” Indeed, recent results testing second-hand vapor effects claim after vape is exhaled, the air returns to its normal chemical makeup after just a few seconds. How governing bodies classify e-cigarettes and vape products are a step in changing public perception of the value of the vape as a stop smoking tool. Major e-cigarette manufacturers are speaking out, funding awareness campaigns to defend their products’ purpose against media coverage of the vape as a new nicotine fad, especially with underage users. When it comes to kids, stigma and vilification are other shared traits between vapes and cigarettes. Vapes are tools for adult users of legal age to quit smoking the vastly more harmful tobacco cigarettes, industry representatives maintain. The UK science and technology committee defend that stance in their report, citing the Office of National Statistics: “Smoking prevalence amongst young people overall is decreasing in the UK, with almost an 8% decrease amongst 18 to 24-year olds since 2011.” Still, current public perception of vapes is divided, due to persistent and pervasive media coverage on underage vape use. The committee asks that legislators be considerate of the already shrinking population of users. “A liberalisation of restrictions on e-cigarettes, which provide a popular route for people to stop smoking, would result in non-vapers having to accommodate vapers (for a relatively short period of time).” Accommodating vapers, it seems, amounts to dealing with a few seconds of mango scent in the air, and little more.